At 5 Oceans Marine Group we find clients great boats and yachts every day. Our company started its life as a firm focused exclusively on buyers; we served as “buyer brokers” to our first clients. This was the first time buyers broker services had been done in the yacht industry and today, while the approach has been copied, we are still the most prominent practitioners because it is where our passion for boating meets your dreams for cruising. We work to find the right fit for our sailors so that the match is right for your needs, not 5 Oceans Marine Group’s. We truly recognize that your satisfaction is the source of our success in the industry. Here at 5 Oceans Marine Group our expertise amounts to five circumnavigations. What does that mean for you? Hundreds of mistakes from which you can learn free of charge and pain! When we talk to other listing brokers of yachts we’ll get the sort of insider information about the boat they simply won’t give you. And we will have people we can go to, whom we trust, to tell us what is really going on with a certain boat or yacht. We do our due diligence with passion. Our job is to protect your interests every step of the way. Because 5 Oceans Marine Group maintains an extensive network of agents and affiliates, we can make things happen quickly no matter the remoteness of the location. Consider that our firm has managed surveys and sea trials in Fiji, Tonga, Thailand, Malaysia, China, France, Spain, Turkey, Tunisia, Finland, and of course all over the islands of the Caribbean and North America and South America. Due to our global network we can carefully pre-inspect any boat or yacht you find of interest around the world. This includes not only our listings but others as well. After the inspection, we provide clients with an extensive “Yacht Condition Index Report,” as well as a video walk-through of the vessel. Yachts are bought and sold around the globe. As a result, your broker needs to be an expert at understanding global tax, duty, flagging, and closing issues. At 5 Oceans Marine Group we have trained our in-house staff on these issues and more with a clear focus on cultural awareness. When 5 Oceans Marine Group finds a yacht for you, we carefully discuss the best way to flag her, close on her so as to minimize unnecessary expenses. We are always striving to save our client’s money while making the process the process secure. After our team carefully establishes the condition of a boat or yacht we will discuss her market value with you. This valuation process includes not only a recent list of sold yachts of the same vintage and model, but expert analysis of the yacht’s value based on factors that cannot be taken into account when examining recent sold data, such as her configuration, her current location, her cosmetics, damage history, and overall current supply/demand equation for similar models around the globe. Our team of expert brokers will educate you and impart their knowledge on the market of today so that you feel confident in your decision when it comes time to make offers. At 5 Oceans Marine Group, our brokers have taken part in scores of negotiations globally, dealing with clients from all around the world on the sale of some 100 yachts a year since we opened our doors in 1998. Our long history of experience has provided us with a unique ability to find creative solutions to some of the most common negotiating roadblocks that may stand in your way of that one perfect boat. Yacht sales can fall apart quickly or even after surveys are completed. Buyers and sellers have a very hard time sorting serious issues from minor ones in the heat of negotiating and can often lose sight of the “true value” of a yacht that they have under contract. Our firm’s sophisticated ability to negotiate these issues and help both buyers and sellers keep their focus on the “true value” is aided by our experience, our cultural awareness of different survey styles and approaches based on nationality, and our ability to negotiate with both parties in clear, calm ways. 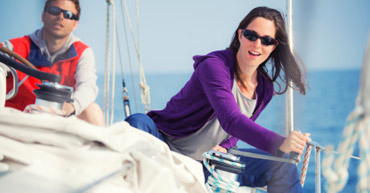 5 Oceans Marine Group offers a total service approach that extends well beyond the purchase of your boat. We offer advice, support and referrals for insurance, finance, dockage, refits, hurricane prep, marine repairs of any kind, and deliveries of yachts all over the world. Worried about safely converting your native currency to a foreign currency for purchase? At 5 Oceans Marine Group we have a multilingual staff that maintains dedicated escrow account for every currency in the world and can assist you in safely receiving or converting your native currency to any currency in the world. Our staff and team of experts will go above and beyond the call of duty to make sure that your purchasing experience is one that dreams are made of. NEED HELP BUYING A YACHT? WE’RE HERE TO HELP AND GUIDE YOU! When it comes to yacht design and construction our founder, Phillip Berman, and his highly trained team of boat and yacht experts know what works and what doesn’t – and they are not afraid to tell you the truth. They understand the needs of every type of sailor, from coastal cruisers to world voyagers, offshore racers to liveaboards. I’ve know 5 Oceans for some time now as I have bought and sold several boats through them, and all the contacts I had with 5 Oceans Marine Group were very positive. My contacts with Alexis de Boucaud and Phil Berman were always great. If I would look for a another boat, they would be the first person I would contact. 5 Oceans Marine Group and agent Alexis de Boucaud stand head and shoulders above the competition. I think Alexis may be the most honest boat broker I’ve met and is he extremely knowable. From start to finish, Alexis controlled every aspect of the sale and everything went extremely smooth. 5 Oceans Marine Group is the premier buyers broker agency, with is foundation being built on the representation of buyers. While the approach has been copied, we are still the most prominent practitioners because it is where our passion for boating meets your dreams for cruising. Our team's valuation process includes not only a recent list of sold yachts of the same vintage and model, but expert analysis of the yacht's value based on factors that cannot be taken into account when examining recent sold data, such as her configuration, her current location, her cosmetics, damage history, and overall current supply/demand equation for similar models around the globe. 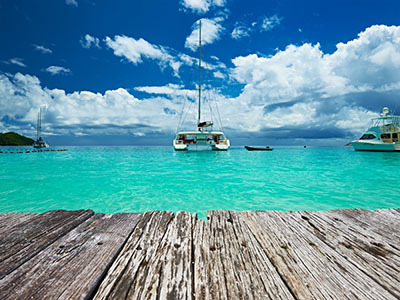 At 5 Oceans Marine Group, our brokers have taken part in scores of negotiations globally. Our long history of experience has provided us with a unique ability to find creative solutions to some of the most common negotiating roadblocks. Our experience and cultural awareness of different survey styles and approaches based on nationality, allows 5 Oceans Marine Group to negotiate in clear, calm ways. Because yachts are bought and sold around the globe, brokers need to understand global tax, duty, flagging, and closing issues. We have trained our in-house staff on these issues with a clear focus on cultural awareness. We carefully discuss the best way to flag and close on a yacht to minimize unnecessary expenses, always striving to save our client's money. Due to our global network we can carefully pre-inspect any boat or yacht you find of interest around the world. This includes not only our listings, but others as well. After the inspection, we provide clients with an extensive "Yacht Condition Index Report," as well as a video walk-through of the vessel. 5 Oceans Marine Group and it's team of brokers and staff enjoy one of the most upstanding and ethical reputations in the business. Our friendly staff and personable brokers set themselves apart as some of the most pleasant and hardworking in the yachting industry. We look forward to working for you!